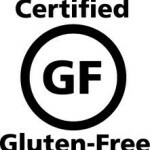 The New Gluten Free Labeling Laws went into effect as of August 5, 2014. There are some things that may grind your gears and some things that may make you shake your head and wonder if anyone on that board has celiac disease or a food sensitivity problem. A guess? Probably not due to how these bad boys turned out so take a look below and let me know what you think! A food labeled gluten-free CANNOT contain wheat, barley or rye. While gluten containing grains have never been allowed in gluten free products, cross contamination was not taken into account… Now it is! However, note that the foods labeled gluten free have 20ppm or LOWER gluten so for all of you sensitive souls out there, you need to be VERY CAREFUL. The rules DO NOT apply to: MEAT, Poultry and most egg products as these are governed by the US Department of Agriculture. You may be in luck though because some of these companies that process meat, poultry and eggs will voluntarily follow the FDA regulations. So it is up to the food maker to decide if they want to meet the requirements and use the label. Some foods that are gluten-free may not have the label gluten-free. I know, why even put it into effect if it’s not mandatory… WHATEVER! Example- bottled water can be labeled gluten free. I like to call them dummy notes. (ha! Really?) However, the foods companies can use the terms “Gluten Free” or “No Gluten” or “ Free of Gluten,” by using these terms the product will have to meet the FDA regulations. 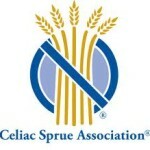 ** The terms “ made with no gluten ingredients” are NOT a gluten-free label regulated by the FDA. The seal for using these labels have to meet the minimum requirements of the FDA as well. Several of these seals certify that their products are 10ppm or lower. Again, for all of you really sensitive souls, you may want to stick to finding these seals on the products that you buy for a while until all of these kinks in the law get worked out because you know there is going to be some! However, the allergy laws state that if there are any of the top 8 allergens in a product AT ALL it has to be listed in the ingredients under the “contains” section. Therefore, if it has gluten in it in the form of wheat, it has to be listed, if it has gluten in it in the form of cross contamination, rye or barley, it does not have to say it on the label anywhere. The products CANNOT have ANY gluten containing grains in it whatsoever to have the label “no gluten or gluten free.” The main goal is to keep cross-contamination to a minimum. Food makers are not allowed to use gluten-containing grains and somehow keep it under 20ppm, not supposed to happen, but you know; there are some rebel food companies out there, so just beware! Refer to the above statement, these two totally contradict themselves. If there is no wheat allowed then wheat derivatives should NOT be allowed SO yeah, a gluten-free labeled product can also have a “contains wheat” statement on there, however, it will be under 20ppm. Advice? Stay away from these products altogether. Beer made from gluten free grains can continue to be labeled gluten free as long as it meets the FDA standard of 20ppm or less. Beer made from gluten-containing grains and then processed to remove gluten CANNOT use the label gluten-free…. Cough …Omission Beer… Cough. Omission can be labeled gluten free in Oregon where it is processed, but it cannot be sold across state lines with the gluten free label. This labeling could change very soon as the FDA is discussing how to label fermented products. The Alcohol and Tobacco Tax and Trade Bureau regulates beer made with barley and hops, including the gluten removed beer on the market, the bureau plans to not allow the beer labeled gluten free after the FDA decides on laws around fermented foods. The only reason that they may not be labeled gluten free is due to heavy cross contamination in the processing facilities. This has been a huge controversy however there is NO GLUTEN in oats themselves, again it comes from the cross contamination. You should still stick to certified gluten free oats. Oats in gluten-free labeled products will have lower than 20 ppm, however if gluten is mixed into the ingredients it will NOT say if the oats are certified, so here is the deal, if something has oats in it as an ingredient, make sure it has a gluten free label on it! Otherwise, you could be playing Russian roulette. They are going to be using the word of mouth from suppliers, and if they want to they can test using third party verification products. 13. The FDA will enforce this via the follow up rule: ( this is why I suggested waiting until they get all the kinks worked out before you go having a hay day on gluten-free labeled products). The followup rule works like this: They will use label review and consumer complaints and when needed they will test for gluten. This one, also, may grind your gears because again I say, what the heck is the freaking point of the label and the law if it’s not being enforced. Is the government really on the side of increasing health and awareness in this country? ** Note all of these laws on labels DO NOT apply to restaurants ….. YET. Apparently they are working on it…. Let’s see what they come up with next. That extra large coffee might give you more than you bargained for! Do you feel more alert after your morning cup of coffee? That’s due to the caffeine naturally found in coffee. Moderate intake of caffeine is okay. Too much caffeine might leave you with nervousness, irritability, headaches, trouble sleeping, and even a rapid heart rate. Health Canada recommends no more than 400 to 450 mg of caffeine per day. Depending on the size of your mug that could be 2-4 coffees a day. If you think you are getting too much caffeine, reduce intake over a few days. Choose water, decaffeinated tea or coffee or herbal teas instead.